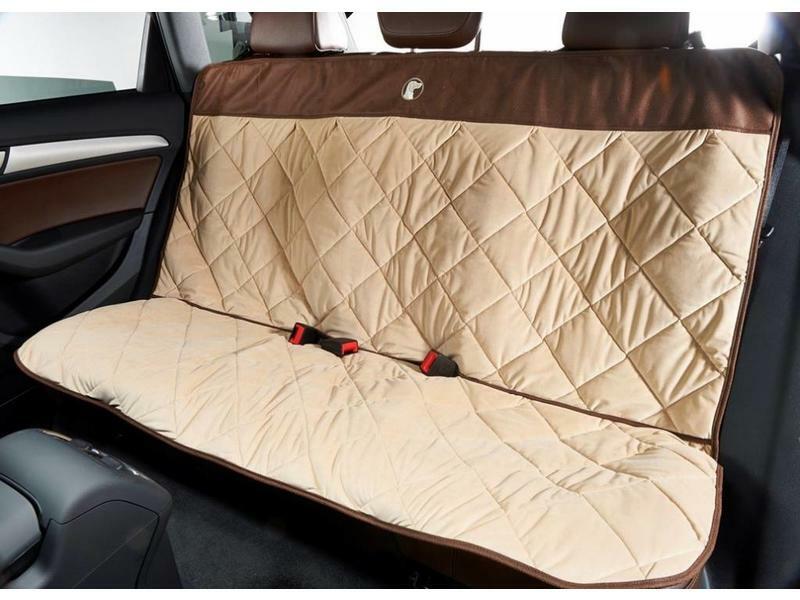 The quilted microvelvet cover and sporty faux leather accents provide the ultimate combination of style, comfort and functionality! 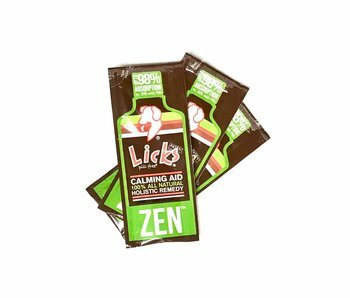 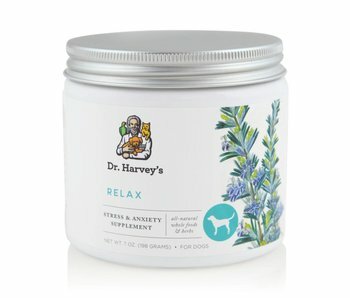 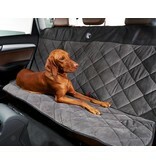 Plush microvelvet fabrics repel pet hair and spills. 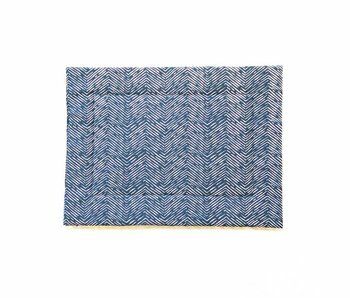 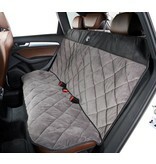 The entire cover is is quilted with High Memory polyester fibre. 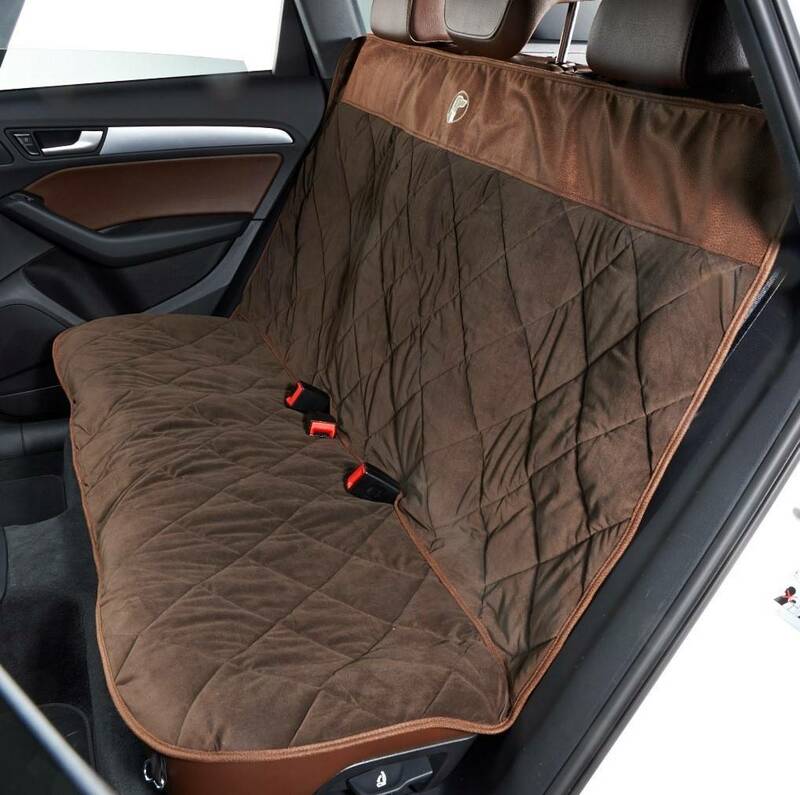 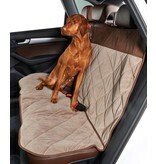 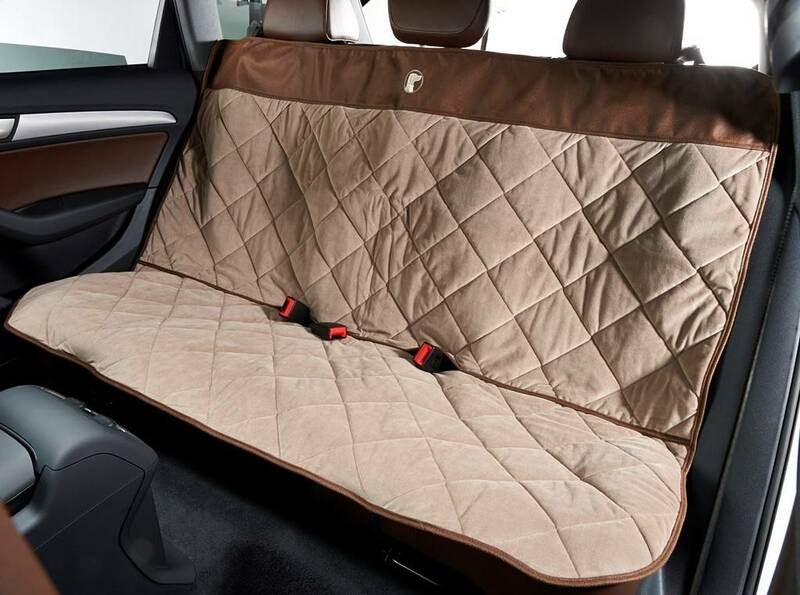 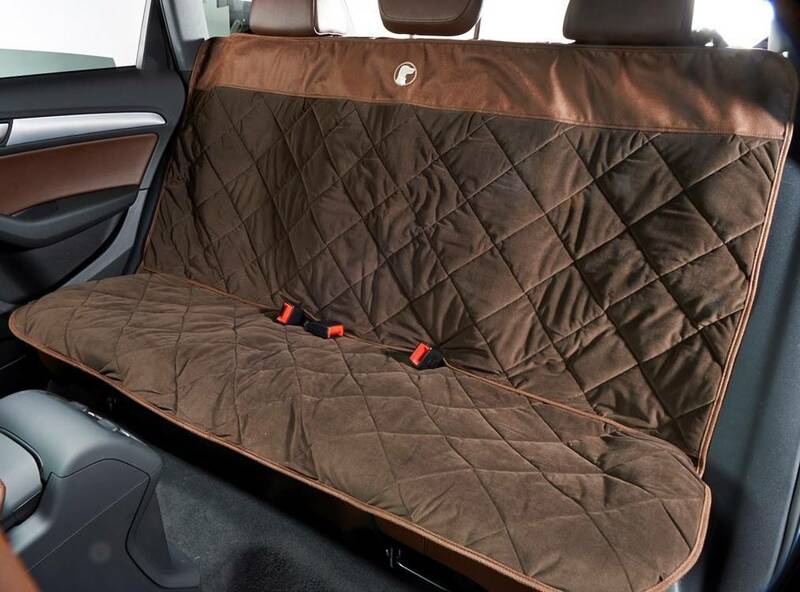 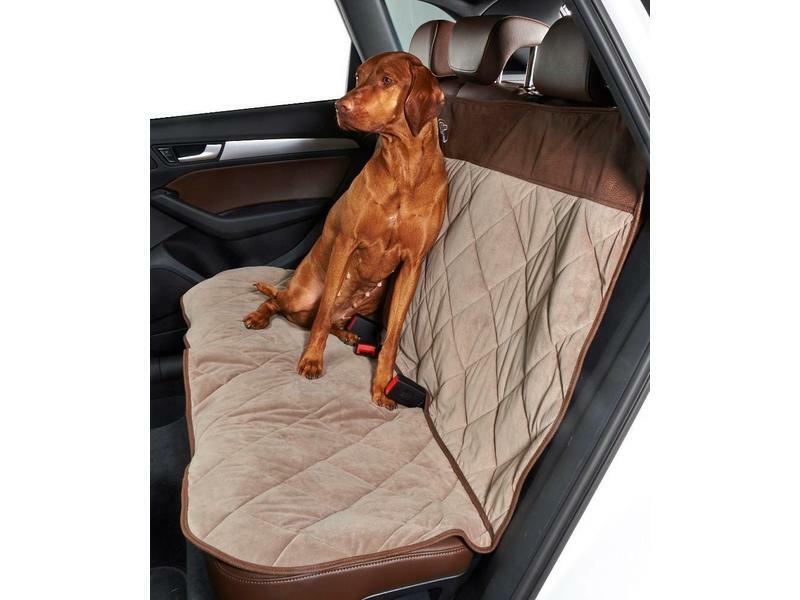 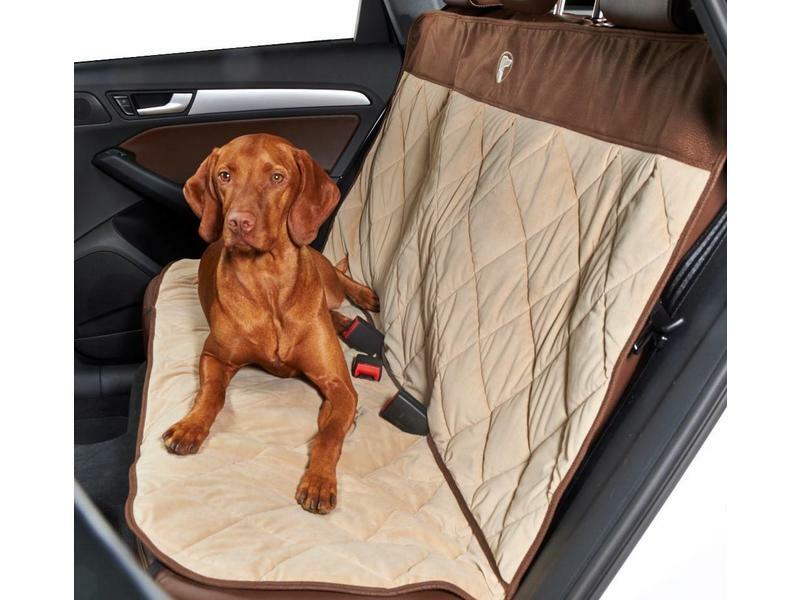 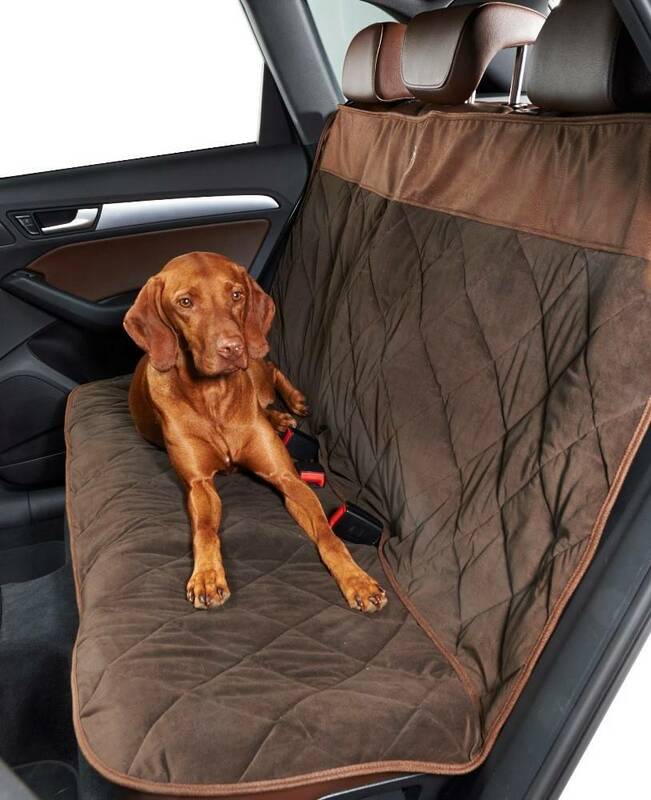 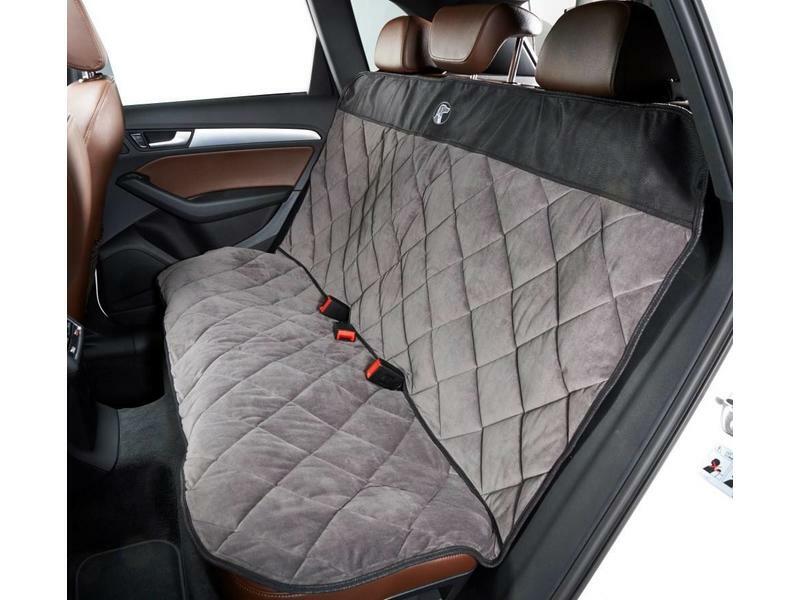 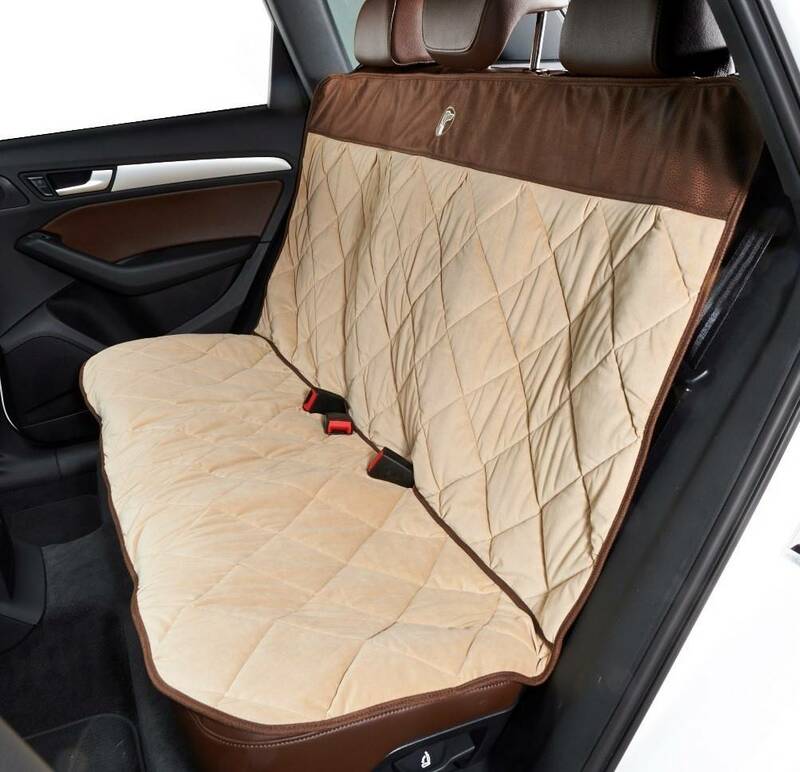 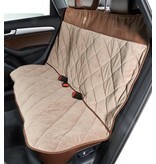 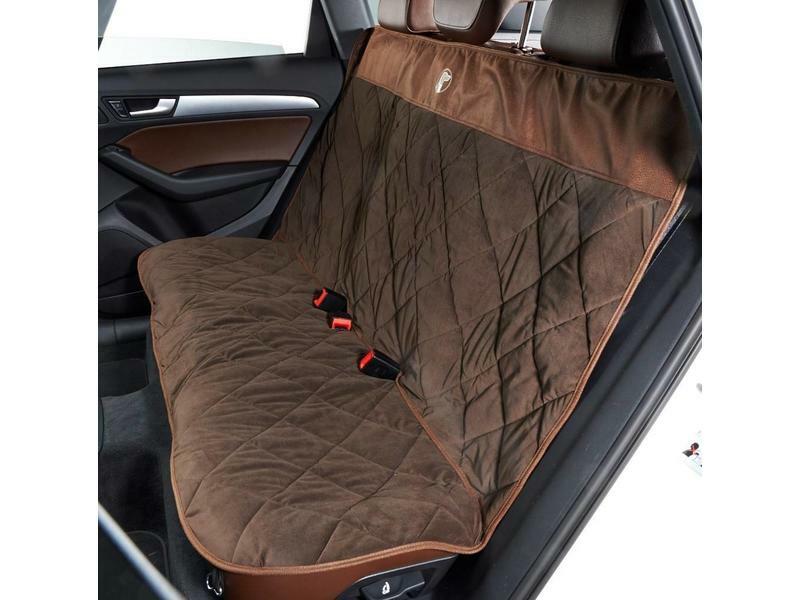 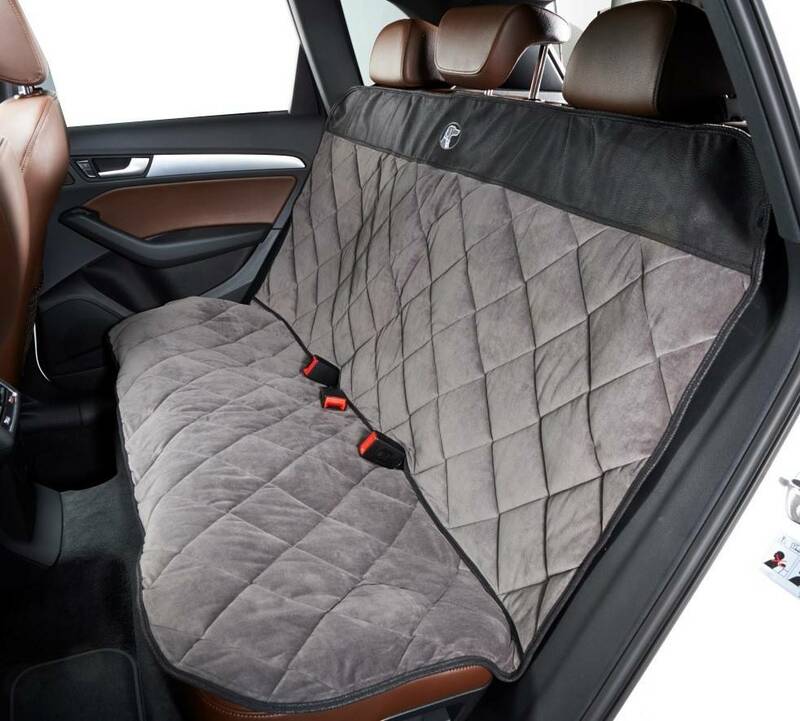 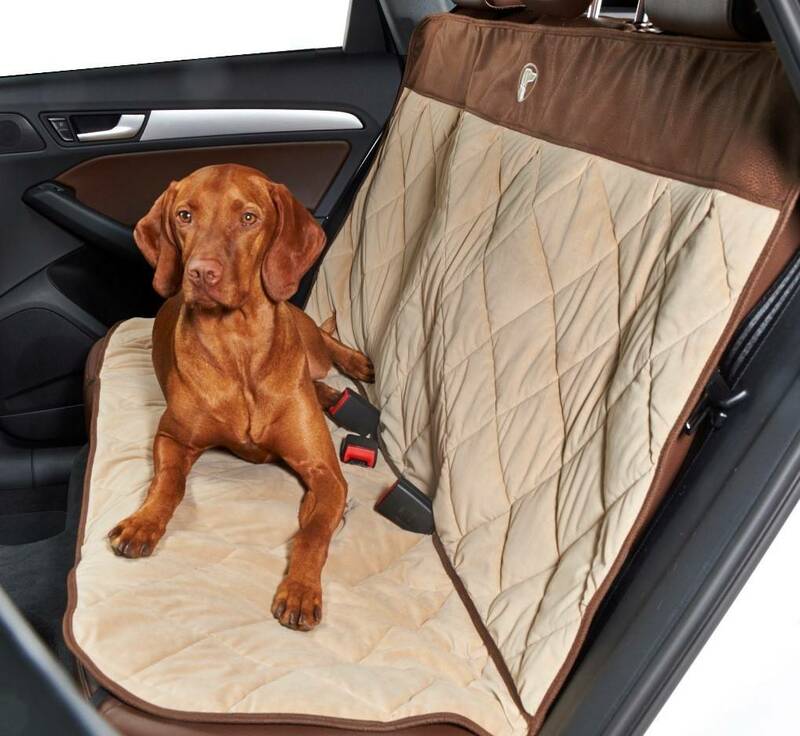 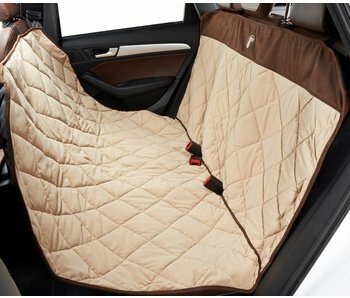 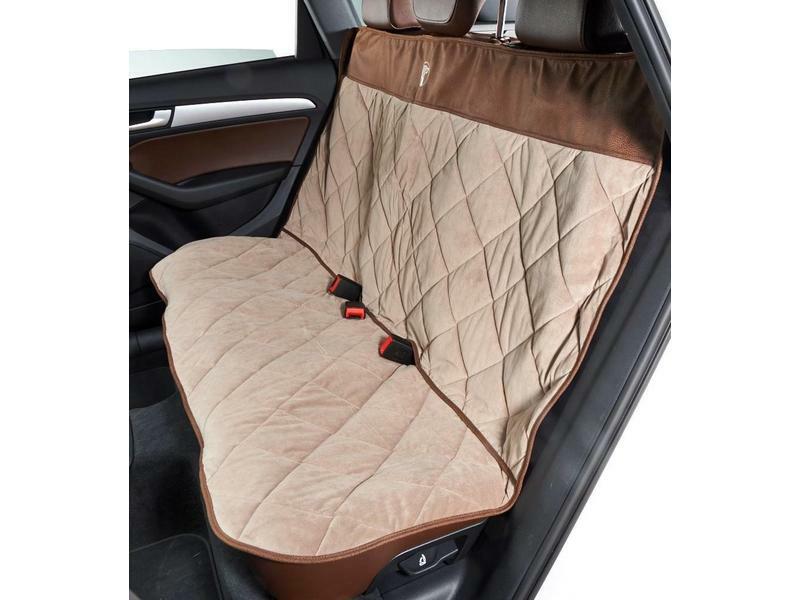 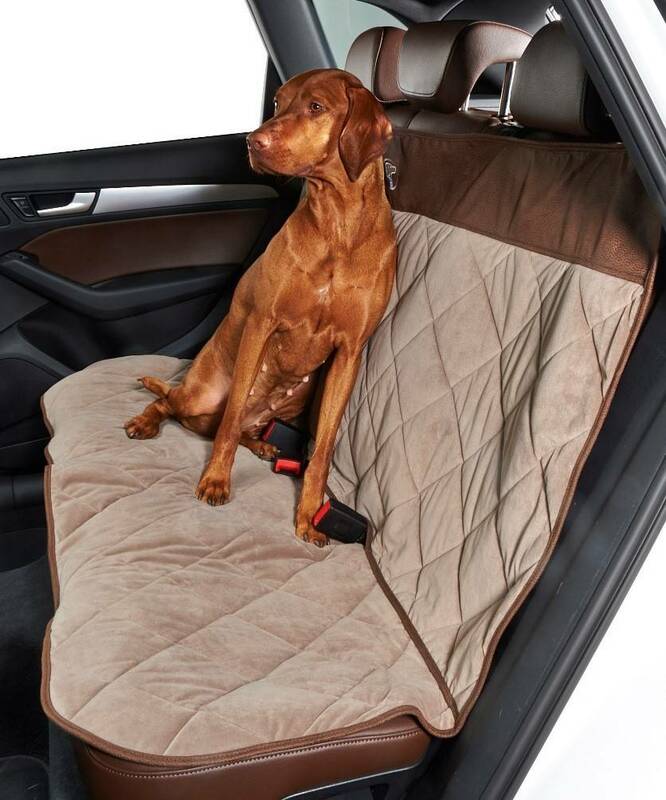 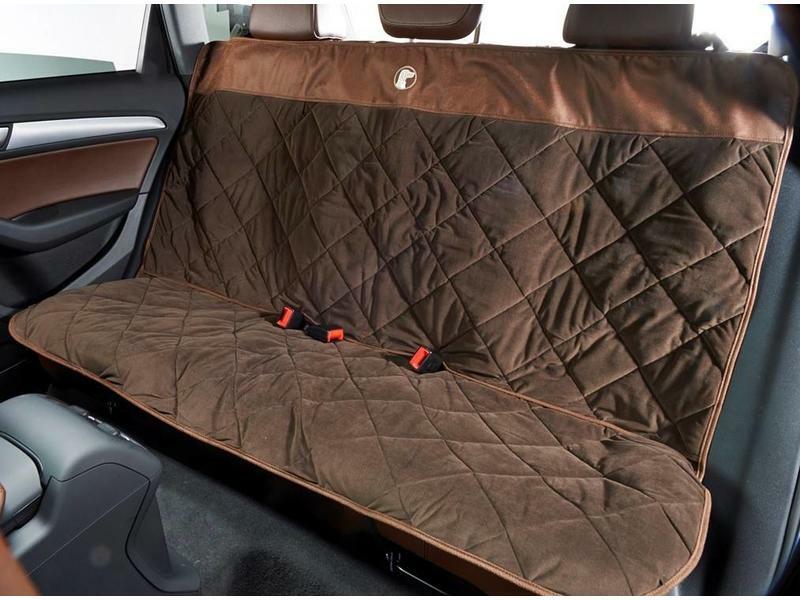 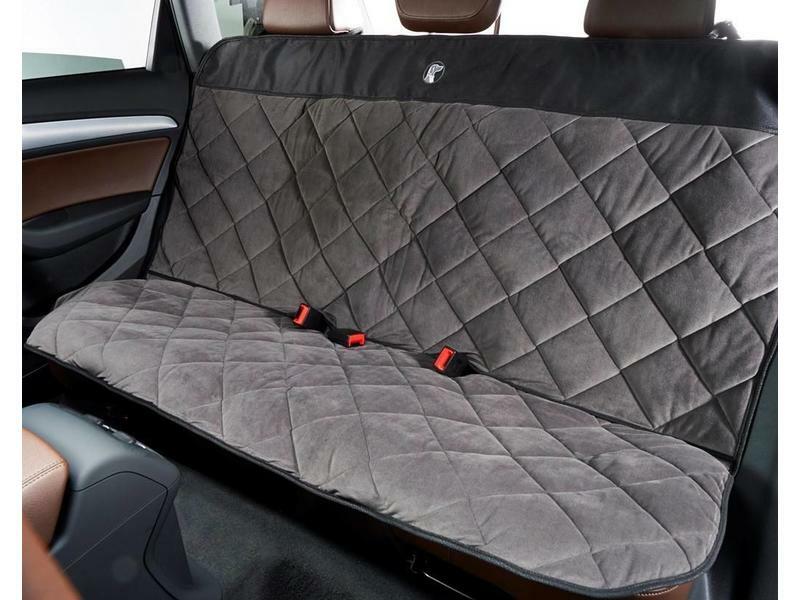 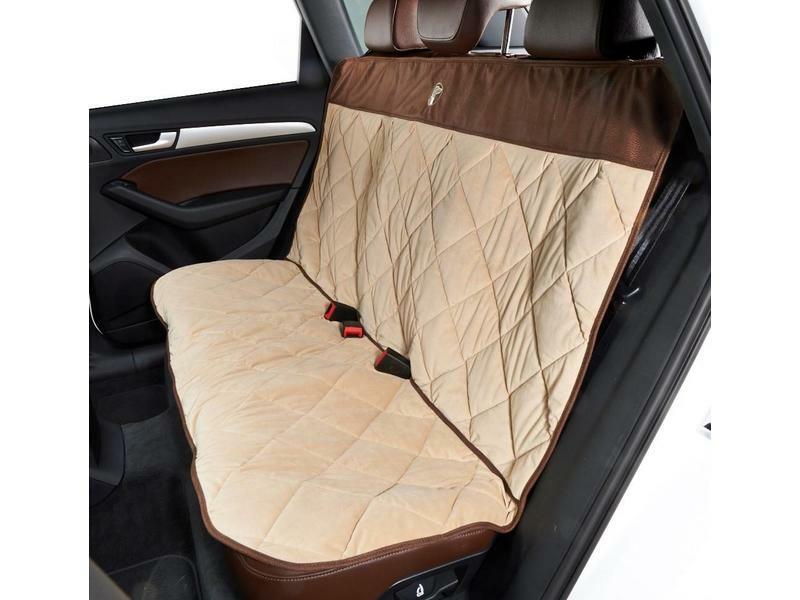 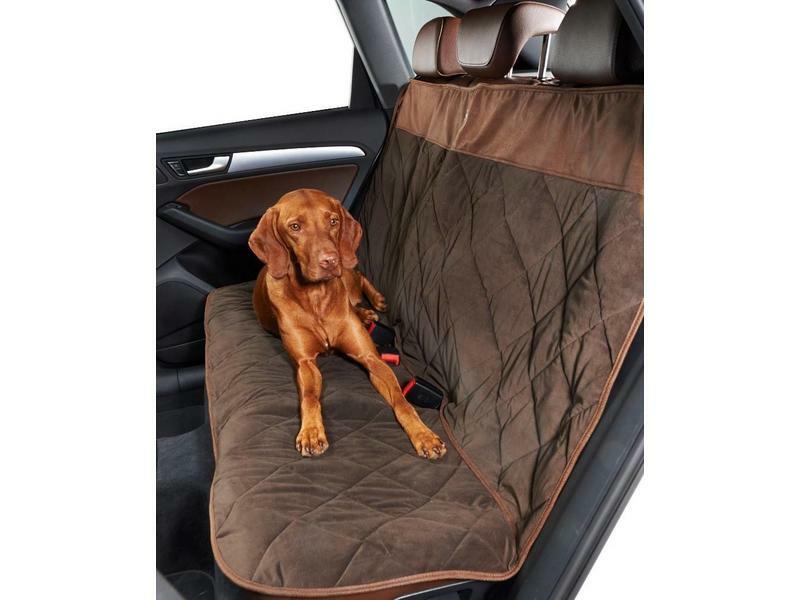 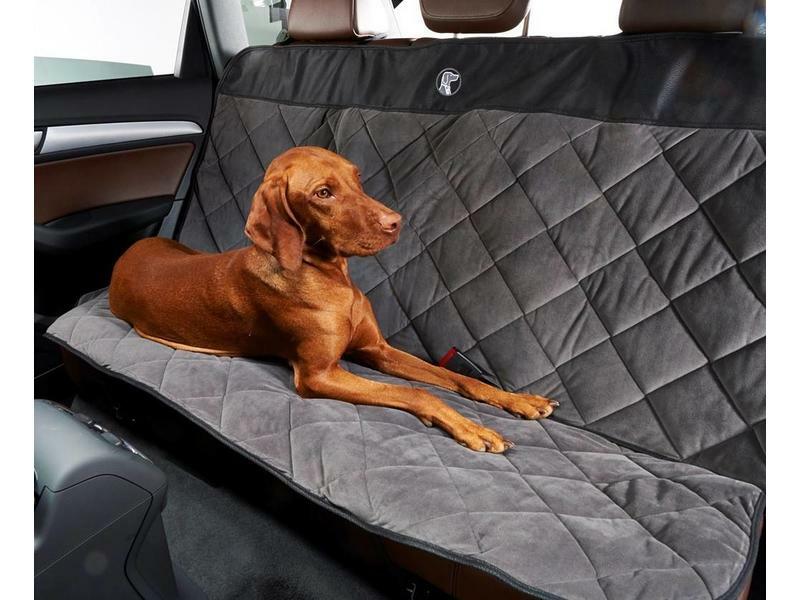 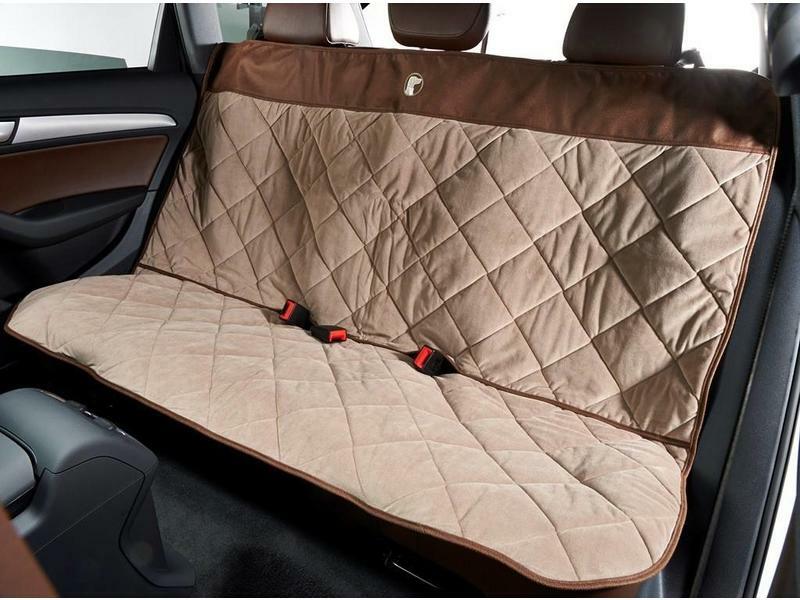 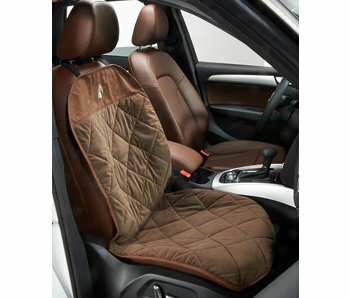 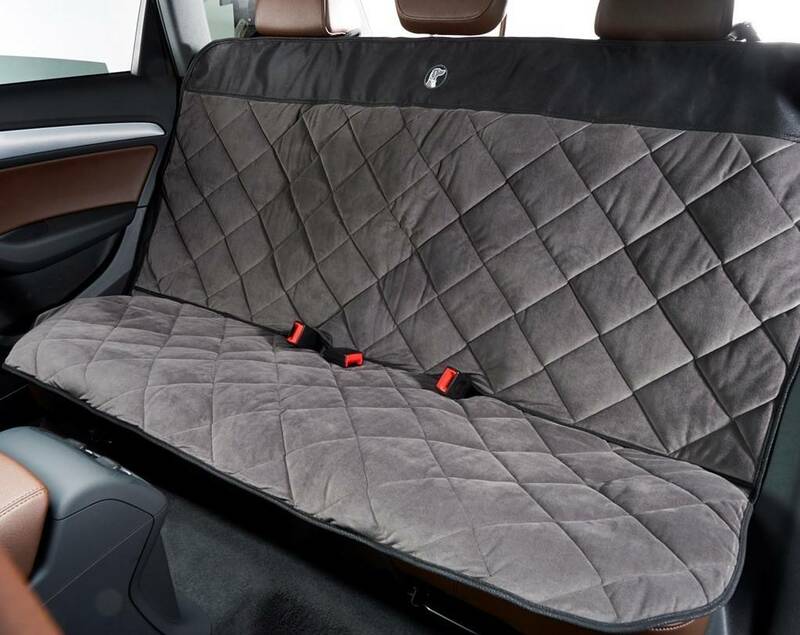 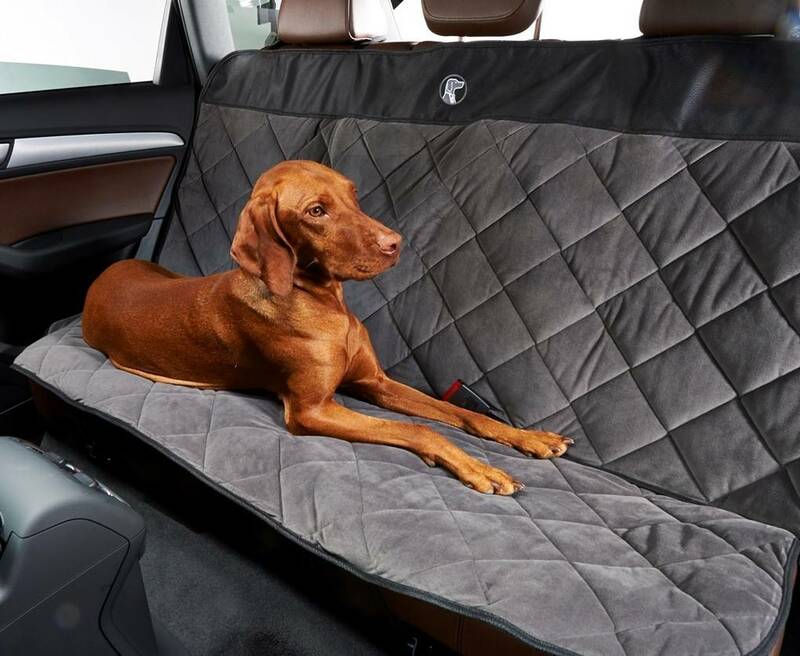 This unique design creates a secure fit for a wide range of vehicle types and seat sizes. 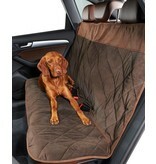 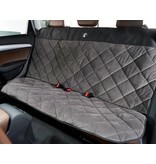 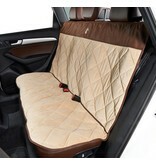 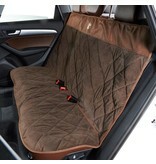 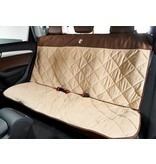 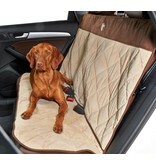 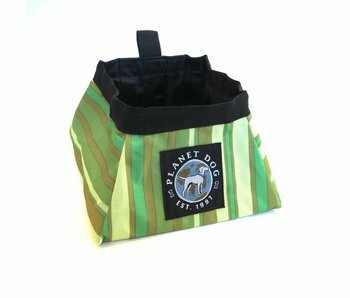 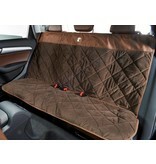 Directions: To secure the back of the protector, attach the two adjustable nylon straps/clips around the rear headrests. Place the foam anchors located by the seat belt openings between the back of the seat and bottom seating area to prevent cover from slipping and sliding. 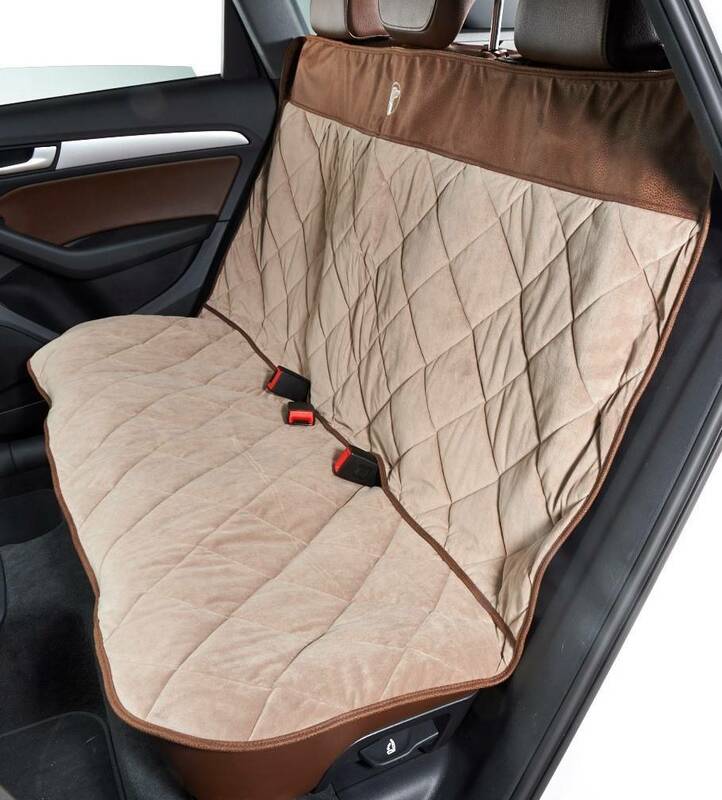 Use the metal hooks located on the sides and front of the protector to secure to bottom of seat; (Note: hooks are an extra securing option; not all vehicle types will accommodate these hooks. 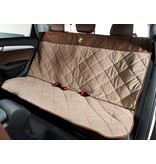 The protector will still stay securely in place without the use of these hooks).